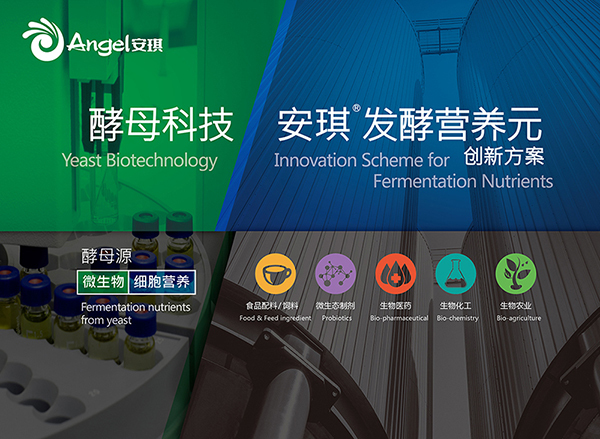 The 4th International Application and Development Technology Forum of Fermentation Medium, organized by China Biotech Fermentation Industry Association and Angel Yeast Co., Ltd., was held at Shanghai New International Expo Center. 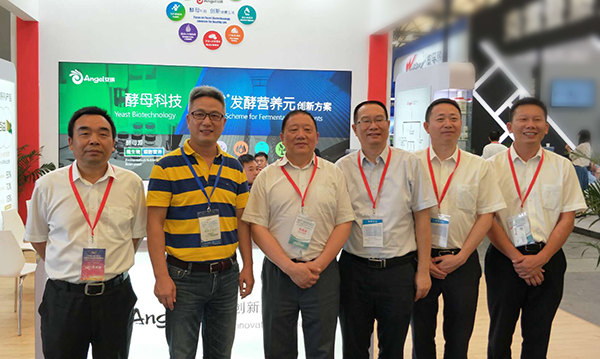 More than 400 experts, scholars and business representatives from the field of bio-fermentation in and outside of China participated in this forum for exchanging different ideas. Mr. Zhou Hailong, vice chairman of China Biotech Fermentation Industry Association, gave an opening speech in the forum. 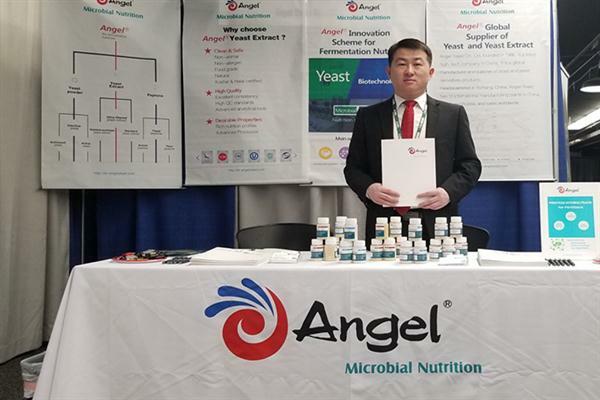 Mr. Yu Xuefeng, chairman of the board from Angel Yeast company visited the forum. 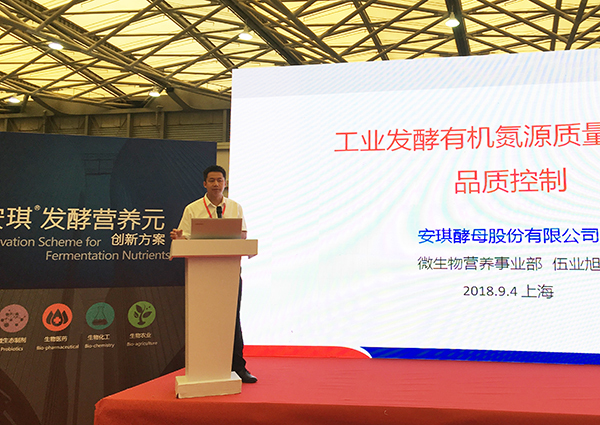 In the keynote speech of "Selection and Regulation of Nitrogen Sources for Industrial Fermentation ", Dr. Li Xiao elaborated on the complex composition of organic nitrogen sources, which can affect the fermentation process of industrial microorganisms from various aspects and ultimately play a decisive role in fermentation result. What’s more, through combining the examples of improving the growth of microorganisms and the synthesis of metabolites by regulating and controlling nitrogen sources in different industrial fermentations such as probiotics, exogenous protein expression of E.coli, antibiotic fermentation and other industrial fermentations, Dr. Li introduced the development strategy of specific products of R&D team in Angel microbial nutrition division and how to do customized development of organic nitrogen sources to increase fermentation yield of target microorganism. "Quality Identification and Selection of Organic Nitrogen Sources", made by Mr. Wu Yexu, explained in detail that the mechanism of regulation and control theory about organic nitrogen sources for industrial microbial fermentation and the examples of regulation and control about nitrogen source optimization of industrial microbial fermentation by combining the strategy that Angel Yeast help to customize organic nitrogen sources for fermentation industry and the examples of improving fermentation performance. Further more, affecting factors of the quality of organic nitrogen sources, and effect analysis of the components and characteristics of various fermentation organic nitrogen sources (affecting factors of the quality of organic nitrogen source include sense, physic-chemical index, amino acid, nucleotide，molecular weight distribution, vitamin, trace element, etc. ). 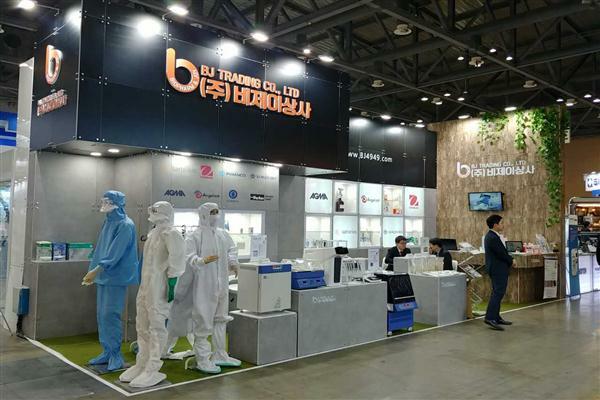 The highlight point emphasized in this report is that the effect of bio-burden, heat-resistant bacteria, heavy metal and other safety indicators are particularly important for organic nitrogen sources in industrial fermentation. The forum has carried out 8 special topics for idea exchange. Professor Chu Ju of East China University of Science and Technology, Professor Li Jianghua of Jiangnan University, Zhou Xigui, Researcher of Tianjin Industrial Biotechnology Research Institute, Professor Wang Yuanshan of Zhejiang University of Technology, Professor Zhao Xinqing of Shanghai Jiaotong University, Gabriel Medina, technical director from China representative office of Ayesa Company, Professor Shen Dechao of Shandong University of Science and Technology, and Dr. Li Xiao, chief engineer of biotechnology of Angel Yeast company, Dr. Wu Yexu, director of the institute of microbial nutrition from Angel Yeast company, made special reports respectively.